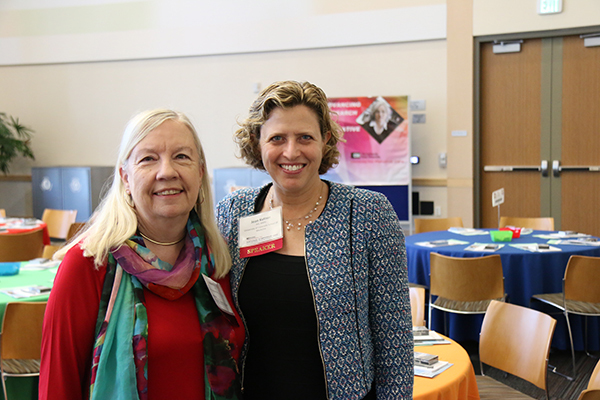 Innovation and inspiration took center stage last week at the CSU Institute for Palliative Care’s National Symposium for Academic and Palliative Care Education and Research, where leading experts gathered to share ideas and shape the future of palliative care teaching and practice. The theme – “Innovate. Investigate. Educate.” – played out across the two-day event in topics ranging from medical aid in dying, to how federal and state policies are impacting palliative care, to the importance of countering stigma faced by LGBTQ patients seeking palliative services. Throughout the event, faculty and clinicians joined in robust workshops, paper sessions and poster sessions, presenting their latest research and interacting with colleagues from across the country. In a plenary Thursday afternoon, Steve Pantilat, MD, MHM, FAAHPM, of the University of California San Francisco, articulated the gathering’s collective goal: to make palliative care routinely, not randomly, delivered. Pantilat said collecting data and conducting research are key, and so is the willingness of clinicians and educators to quickly share information about what’s working in the field. In that vein, the Gary and Mary West Foundation, in collaboration with the CSU Institute for Palliative Care, awarded $45,000 in 2017 Seed Grants to five research proposals designed to expand or improve palliative care, particularly among seniors. The proposals included one to increase palliative care in a regional Latino community and another designed to create a more meaningful end-of-life experience for ICU patients at a major metropolitan hospital. Grant recipients included Joy Goebel, PhD, RN, MN, FPCN, of CSU Long Beach; Ronit Elk, PhD, of University of South Carolina; Brian Carpenter, PhD of Washington University; Thanh Huynh Neville of UCLA; and Wendell Hanna, of San Francisco State University. The grant winners were among more than 160 educators, researchers and clinicians who attended the national symposium, including one from as far away as Cape Town, South Africa. 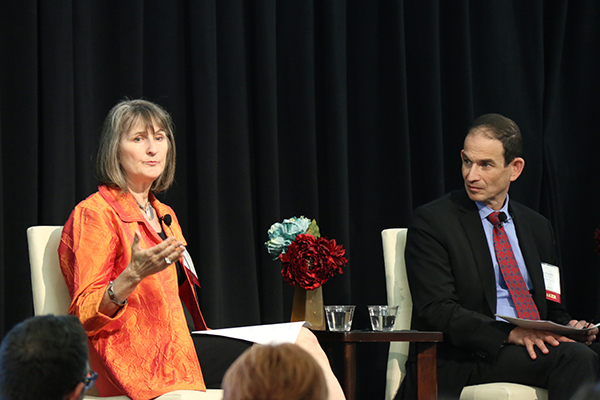 One of those stories came from keynote speaker Jean Kutner, MD, Chief Medical Officer at University of Colorado School of Medicine, who talked about one of the “whys” she decided to specialize in palliative care. Another plenary highlighted the complex challenge facing physicians and other health care professionals in the wake of new laws and changing social mores on medical aid in dying. Jennifer Moore Ballentine, Executive Director at the CSU Institute for Palliative Care, said there’s a lack of clear data or protocols to guide health professionals in states that have enacted the laws. She said the heartbreak faced by patients and families considering this option underscores the need to expand palliative care services on a global scale. “Arguments in favor of aid-in-dying often present a stark choice – die horribly or die early – without any reference to the third option: live well until you die,” Ballentine said. The goal of palliative care, she noted, is to ease physical, emotional and spiritual suffering in patients with serious illness, from diagnosis until death. Ballentine was joined on stage by Jessica Zitter, MD, a critical care physician and palliative specialist at Highland Hospital in Oakland, who read from an Opinion piece she recently wrote on medical aid in dying for the New York Times. Zitter said she was “reassured that patients in California have the right to exercise this power when they feel there is no other path,” but she agreed our energy and focus should first be on ensuring there is another path. During a Q & A at the end of the plenary Zitter said she’s still struggling with how to balance her personal feelings on the issue with her professional duties. “I support this for myself, but I still don’t how to support it as a physician,” she said. 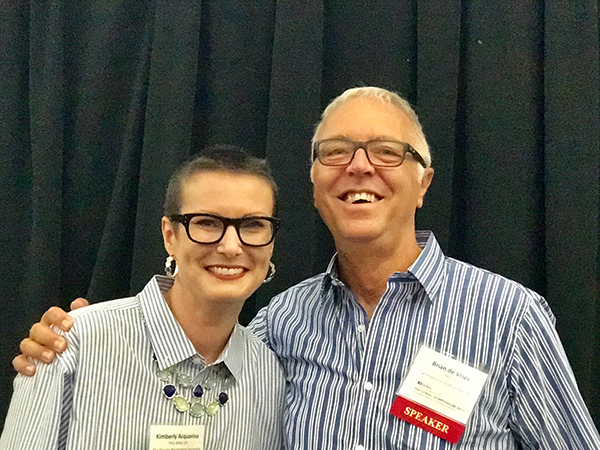 The symposium also featured a moving plenary with Kimberly Acquaviva, PhD, and Brian de Vries, PhD, on the needs of LGBTQ people seeking palliative care, and the ways health professionals can counter stigma and help nurture resilience in LGBTQ patients. De Vries pointed to data that show older LGBTQ people are more likely to live alone and less likely to have partners or children to serve as caregivers during a serious or life-limiting illness. Acquaviva said it’s important for health providers to include specific references to LGBTQ persons in their nondiscrimination statements. If that language is missing, she said, she advises LGBTQ people not to seek care there. “If adding three lines of text to a website is too much to ask, what does that say about how LBGTQ patients are valued?” Acquaviva said. 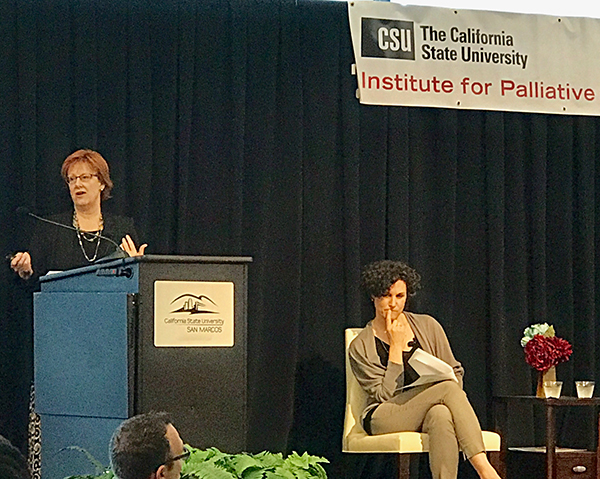 One of the final sessions at the symposium celebrated the achievements of Helen McNeal, the founding Executive Director of the CSU Institute of Palliative Care, who ended the symposium by formally passing the reins to Ballentine. 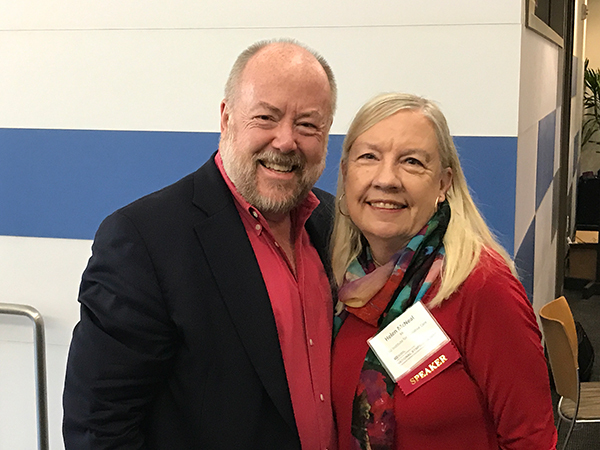 In a closing keynote with longtime friend Charles von Gunten, MD, PhD, McNeal reflected on the success and growth of the symposium and said it’s vital that health professionals continue to work together to advance palliative care. What about the inevitable roadblocks or funding hurdles in building a palliative care program? “Just find ways to do it,” she said. 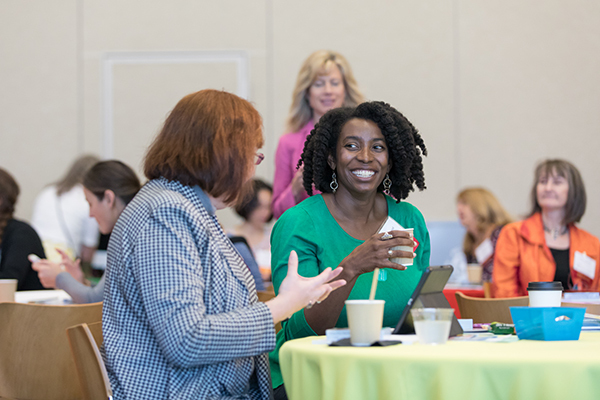 Under McNeal’s leadership, the symposium has grown from a CSU-focused event in 2013 that drew 30 attendees, to a national event attended by faculty and clinicians from public and private universities across the country. Next year’s symposium will be even bigger, as it moves to an exciting new venue, said Adam Shapiro, PhD, Director of University Relationships at the Institute. The 2018 National Symposium for Academic Palliative Care Education and Research will be held Oct. 11-12 at the Hyatt Regency Mission Bay in San Diego.